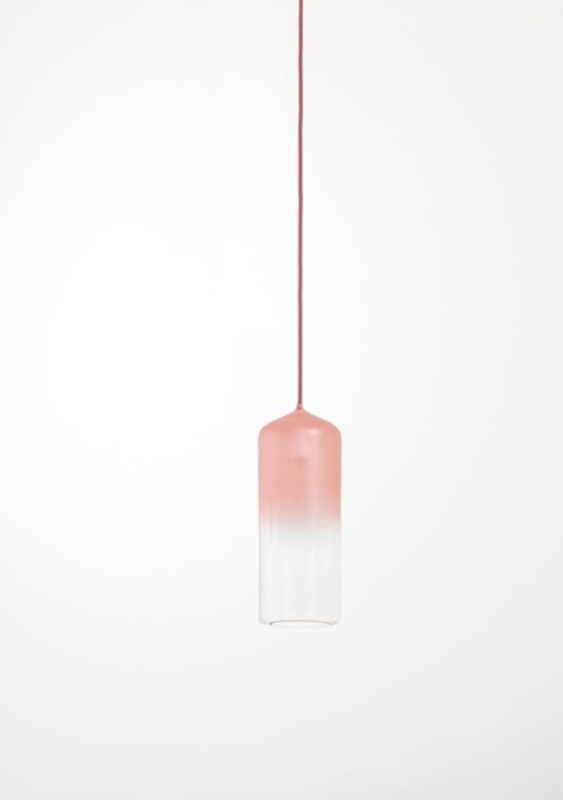 Made from hand-blown glass, the diffused lampshade features a subtle gradient that fades from coloured opaque to transparent. Custom coloured yarn is braided over the electrical cord that has a small socket attached. 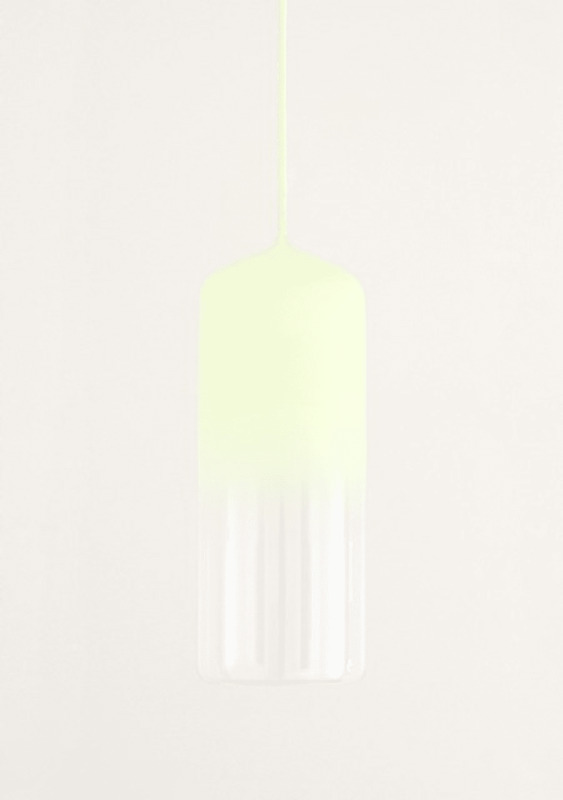 Because the colour shows a fluent transition into the glass, it gives the lamp a floating impression. 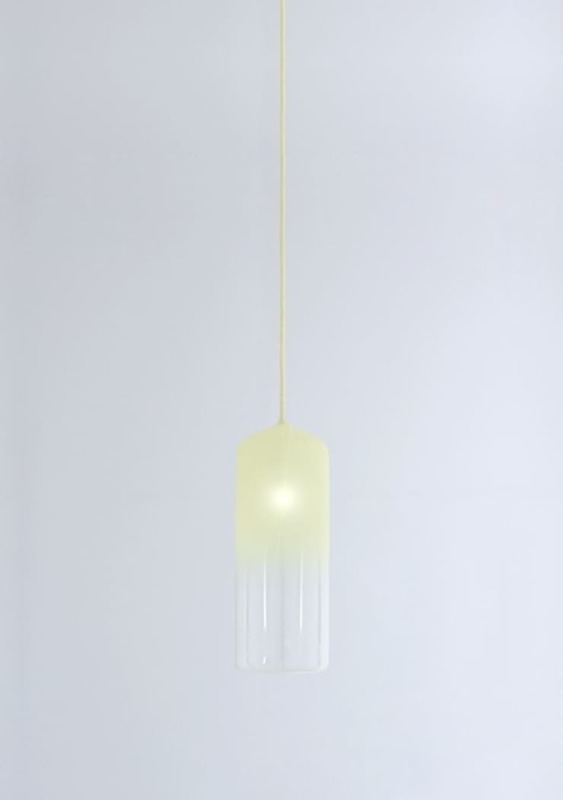 The Gradient Lamp comes in two colours: Grapefruit and Yellow.